As Australia shifts to cut greenhouse gas emissions is it also possible to enhance our biodiversity? A new peer-reviewed paper by Environment Institute members Corey Bradshaw and Barry Brook (with others) directly addresses this question, showing “biodiversity-related enhancement schemes (including environmental plantings and invasive species reduction) can be compatible with carbon-sequestration initiatives”. The authors find that most land-management options to reduce or capture greenhouse gas emissions will offer clear advantages for biodiversity. These advantages increase the viability of native biodiversity. However, there are potential negative outcomes. The authors discuss what needs to be considered if biodiversity is to benefit from the new carbon economy. Carbon plantings will only have real biodiversity value if they comprise appropriate native tree species and provide suitable habitats and resources for valued fauna. Plantings risk severely altering local water availability, quality and/or water movement. Fire can assist with some positive carbon outcomes such as prescribed burning to reduce the frequency of high-intensity wildfires in northern Australia, However, in southern Australia fire is currently unlikely to help but will become increasingly important for biodiversity conservation as the climate warms. Carbon price changes to agriculture can benefit biodiversity. Such changes include reductions in tillage frequency and livestock densities, reductions in fertiliser use, and retention and regeneration of native shrubs. The full findings, issues and opportunities are in the complete paper Brave new green world – Consequences of a carbon economy for the conservation of Australian biodiversity. ► Australia’s new carbon price will have profound implications for land-use change. ► Major changes will arise from environmental plantings and regrowth & fire management. ► Other changes will affect forestry, agriculture and feral animal control. ► Most anticipated land-use changes should benefit biodiversity. 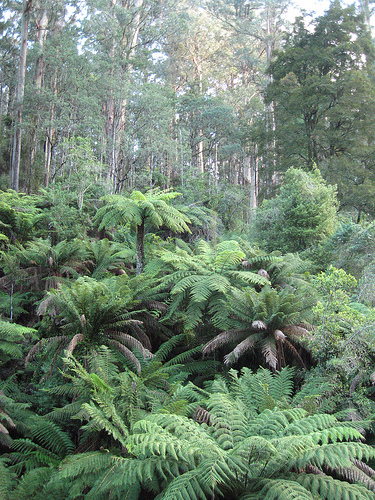 ► Negative biodiversity outcomes could arise if changes focus exclusively on carbon. To see the slide show of this presentation, visit Corey’s SlideShare page. This entry was posted in GEL, News and tagged agriculture, carbon price, carbon sequestration, carbon tax, cropping, emissions, feral animals, fire, forestry, greenhouse gases, invasive species, livestock, plantings, regrowth, stocking. Bookmark the permalink.